On Saturday (24 November) we held our monthly event – HIIT+CHILL+CHAT in Richmond – an experience incorporating movement, mindfulness and conversation around the theme of movement. The mini-retreat style event kicked off with a 45-minute HIIT workout following a circuit of different themed exercises. This was closely followed by a 30-minute relaxing mindfulness experience before we welcomed our guest speaker. Caitlin Limmer, founder of the Bearcat Running Club, and race director of the Cabbage Patch 10 and the Turks Head 10 joined us to discuss the power of movement for the CHAT element of the event. Our theme for November was Movement – one of the foundational principles of POINT3 Wellbeing. Thank you to Caitlin Limmer for joining us to share her story around how she became so involved in the running community and beyond – from personal trainer to now race director for one of London’s most famous of races – the Cabbage Patch 10. Caitlin led an inspiring conversation around making running and exercise accessible and welcoming, and how it’s arguably even more about the community side of things, than the sport itself. You can read our short interview with Caitlin here. Our next mini-retreat takes place on the 12 January and we would love to welcome you along. The theme of this event is nutrition, and we’re delighted to welcome along Clarissa Lenherr, Nutritionist as our guest speaker. If you’re interested in attending one of our next HIIT+CHILL+CHAT events click here for more information. And don’t forget our weekly (free-to-attend) Wellbeing Wednesday events. 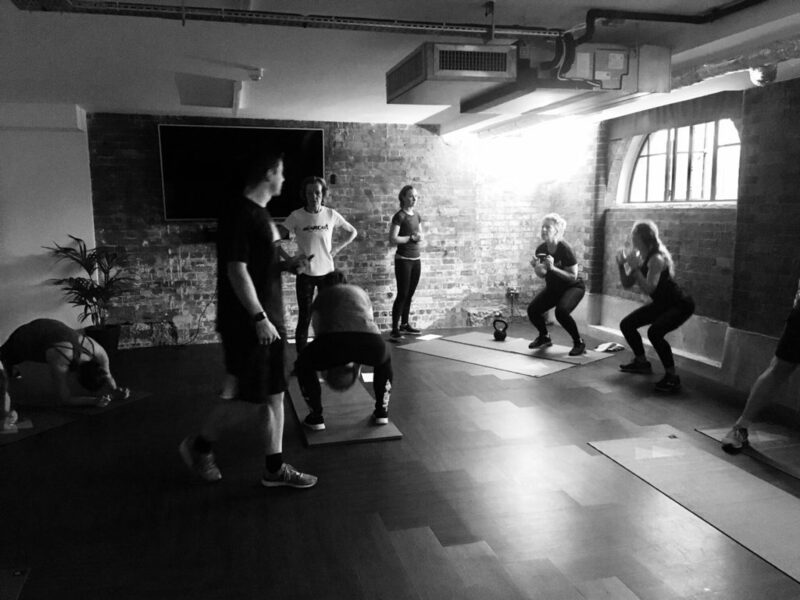 Each week we rotate a HIIT+CHILL, STRETCH+CHILL and RUN+CHILL mind+body fitness experience. This free-to-attend event is open to all with any donations going to Richmond Borough Mind charity. All you need to do is secure your space through Eventbrite here.